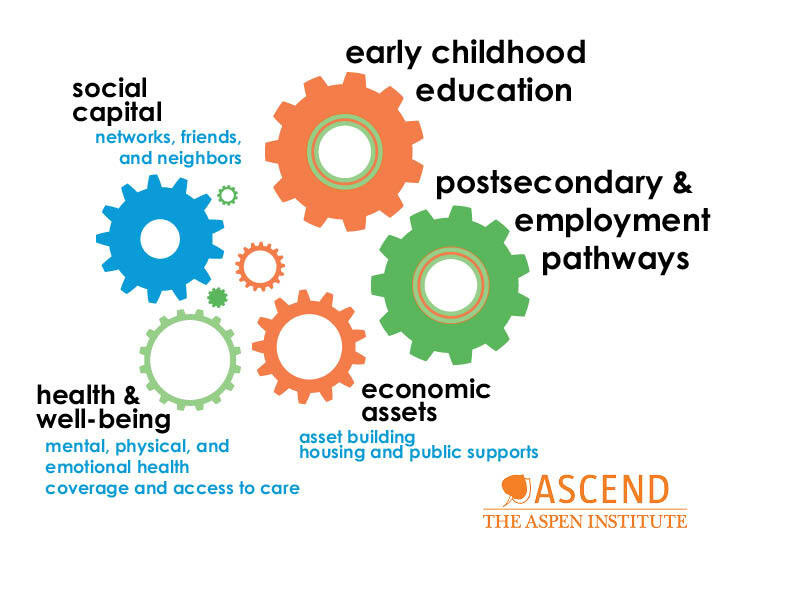 Ascend is a policy program of the Aspen Institute and the national hub for breakthrough ideas and collaborations that move children and their parents toward educational success and economic security. We take a two-generation approach to our work and embrace commitment to gender and racial equity lenses. Ascend elevates effective policies and solutions that move children and their parents towards educational success and economic security. We believe that education, economic supports, health and well-being and social capital are the core elements that create an intergenerational cycle of opportunity. We elevate and invest in two-generation solutions that lead to better outcomes for children and their parents. We build leaders and networks. We engage the voices of families to inform policies and programs.